Gold Coin With Every Booking..!!! Puraniks Aldea Espanola in Baner, Pune by Puraniks Builders is a residential project. Connecting Mumbai Pune Bangalore Expressway. 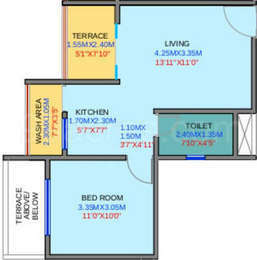 The size of the Apartment ranges in between 52.0 sq.ft. and 1800.0 sq.ft. Puraniks Aldea Espanola price ranges from 30.66 Lacs to 88.35 Lacs. Puraniks Aldea Espanola offers facilities such as Gymnasium and Lift. It is a new launch project with possession in Mar, 2019 with few units already sold out. The project is spread over a total area of 17 acres of land. Puraniks Aldea Espanola brochure is also available for easy reference. Where is Puraniks Aldea Espanola located? The project is located in Baner, Pune. What size of flats are available in Puraniks Aldea Espanola? The apartment sizes in the project vary from 52.0 sqft to 1800.0 sqft. What is the area of 1 bhk in Puraniks Aldea Espanola? 1 BHK units in the project are available in a size of 449.0 sqft to 640.0 sqft. What is total area of 2 bhk in Puraniks Aldea Espanola?  The area of 2BHK units in the project varies from 729.0 sqft to 1117.0 sqft. What is total area of 3 bhk in Puraniks Aldea Espanola? 3 BHK units in the project are available in a size of 996.0 sqft to 1800.0 sqft. How much is the total size of Puraniks Aldea Espanola?The project is spread over an area of 17.0 Acres. I want your views on this property . More over opinion on buying on top floor from resale point of view later. @Mamta, Puraniks Aldea Espanola is a residential project known for its strategic location off the Katraj-Dehu Bypass Road in Baner. The project is being developed in 3 phase - while phase 1 has been delivered, 2 and 3 will be delivered in 2021 and 2023 respectively. Investing in this project is a good option since Baner lies in proximity to Hinjewadi IT hub that drives housing demand from IT professionals. A lot of projects are expected to be delivered here in the next 2-3 years that will cause an upsurge in the capital 'asks'. 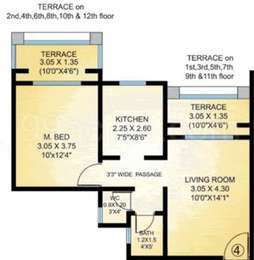 Hi , Are these apartments fully furnished as shown in the pictures?? Hi Seema, the apartments shown in the pictures are just a pictorial representation of the actual project. Project is ready to move in but some of the area is still under construction. This project is known for its connectivity, location and better infrastructure and gives the residents a township like feel.